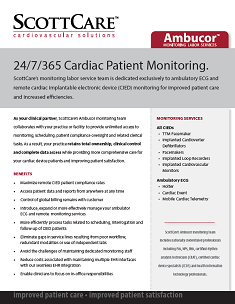 If you’re seeking to improve care, simplify your cardiac device monitoring and increase remote interrogation compliance, partnering with ScottCare can make the difference. how partnering with ScottCare's Ambucor team helps improve patient clinical outcomes. Please submit your information to access your download.